We love it when we get to surprise people who work for manufacturing shop floors, machine shops and job shops with what exactly our solutions can be used for. The general assumption is that our hardware and software only works on CNC machines, but the reality is far different. For instance, one of our techs relayed this story of how we helped implement machine monitoring to help prevent environmental conditions from halting production. 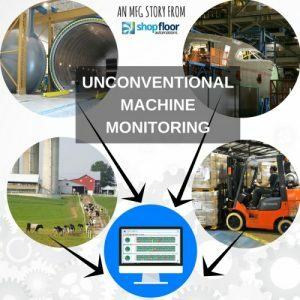 Learn more about machine monitoring in manufacturing. We also invite you to call us at (877) 611-5825 or fill out a contact form.